Parcel #16 - 995 Chadbourne Rd. 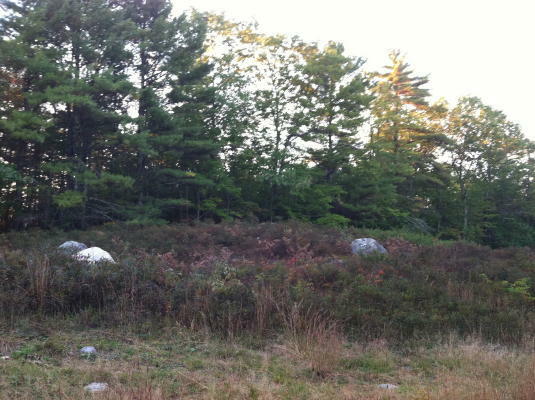 Parcel 1 (Busque Quarry) & Parcel 2 (Libby Pit) at 9AM, Equipment at 10AM from quarry location at corner of Rt. 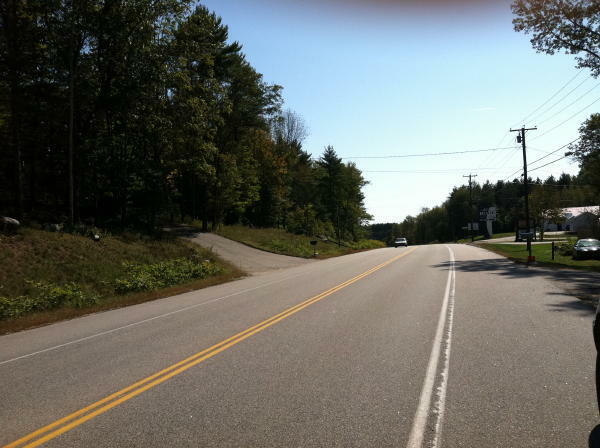 302 & Nash Rd., Windham, Maine. 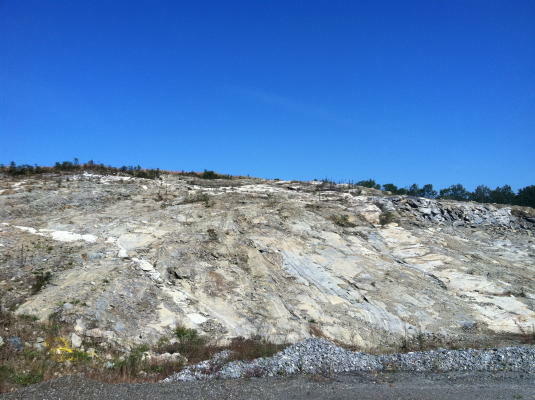 - Town Approved Quarry with MDEP permit (dated 12/16/10) for excavation of rock below the seasonal high water table, and for operating an externally drained quarry. 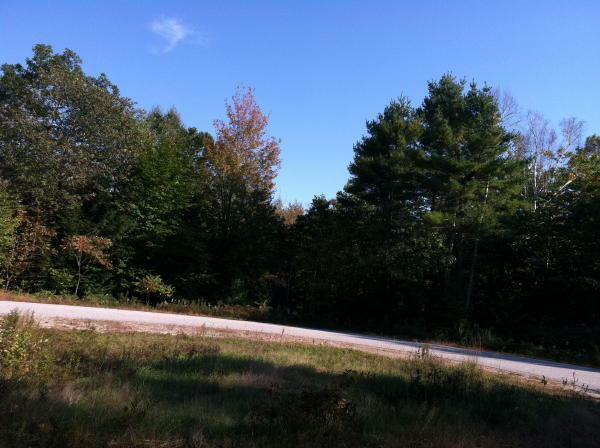 Property is located 6.5+/- miles from the City of Portland and has legal access from Nash Rd. 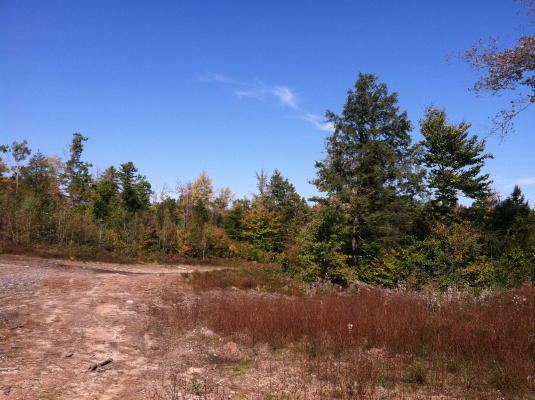 It is comprised of (4) contiguous parcels totaling 111.11+/- acres. 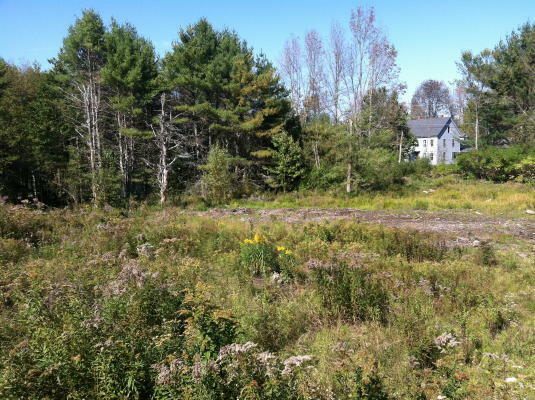 The two main parcels contain 106.94+/- acres and the the remaining two lots contain approximately 2 acres each with one parcel being improved with a 3,268+/-SF, 5-bedroom/4-bath farmhouse with in-law apartment. 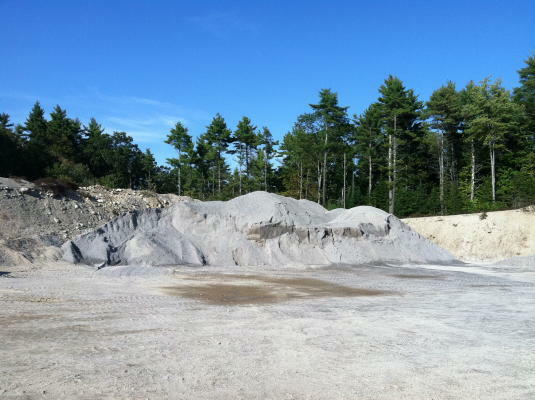 The aggregate quantities are estimated as follows; Quantity based on approved plan holding 2 to 1 Town side slope - 7.325 million cubic yards. 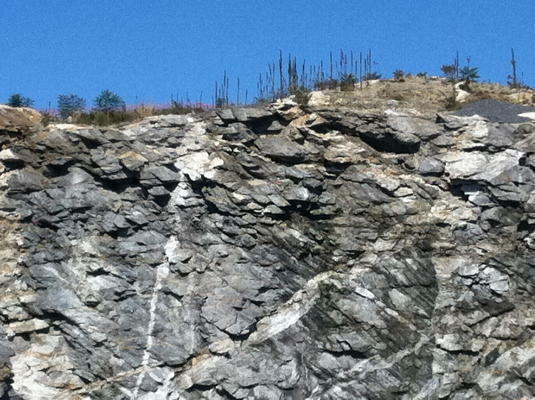 Unapproved quantity based on mining the side slope to a 1/2 to 1 slope with safety shelves - 8.108 million cubic yards. Unapproved quantity lowering the floor elevation by 100'+/- and using the 1/2 to 1 slope - 15.40 million cubic yards. 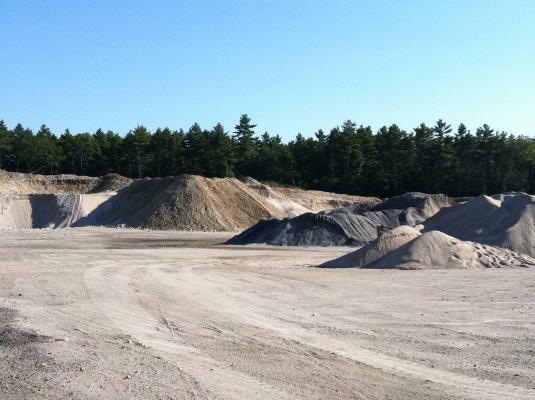 Soil Quality - LA Wear Loss of 40.7%, below the 45% required level for roadways. Micro-Deval Loss of 34%, above the 18% composite blend required for most MDOT projects. Washington Degradation Value of 57%, above minimal acceptable level of 15%. Adequate for bituminous pavement aggregate. 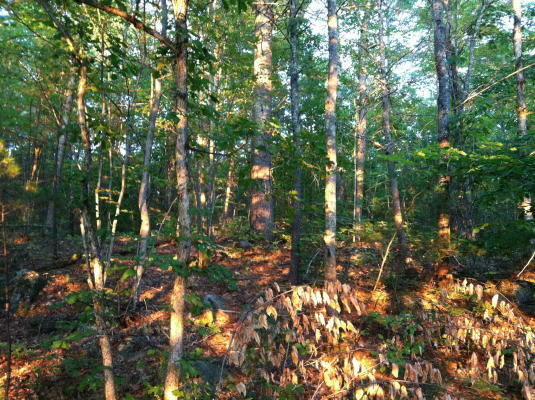 Forest management plan for 53+/- acre woodlands. Farm Zone. 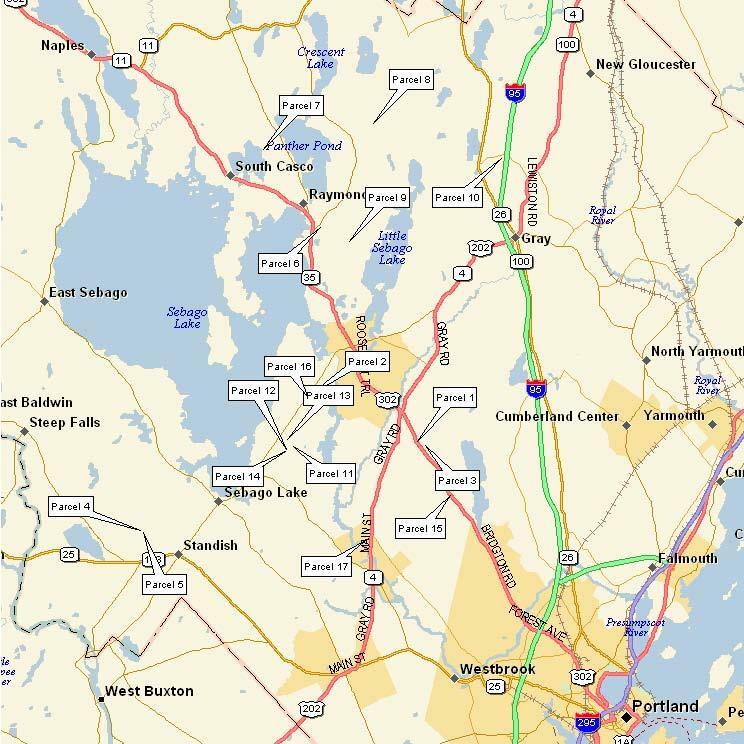 Reference the Town of Windham Tax Map 12, Lots 79,79E,79F & 79G. 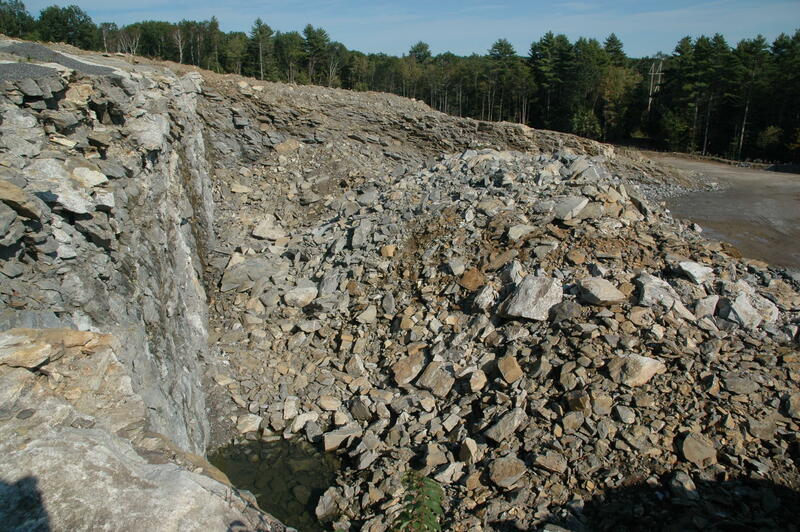 - The Libby pit is an operating and internally drained pit containing approximately 2.2 million cubic yards. 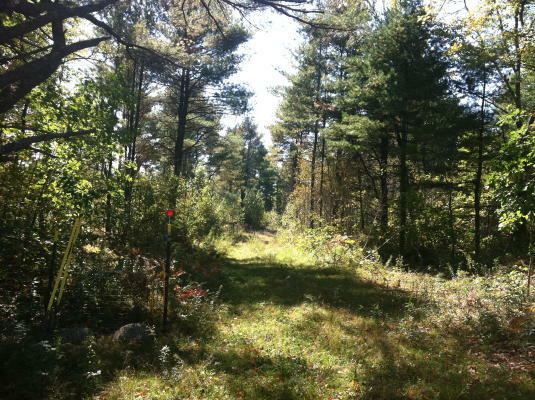 The property is located 13+/- miles from Portland and 2+/- miles from North Windham, and is accessed from Route 35 via a paved and gated road. The operating pit is situated in a private location with minimal housing nearby. The apparent pit floor is greater than 10 feet above groundwater table. 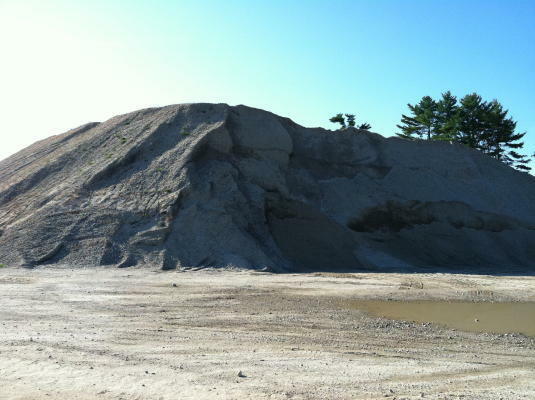 Current limit of unreclaimed gravel pit is 22.58+/- acres. 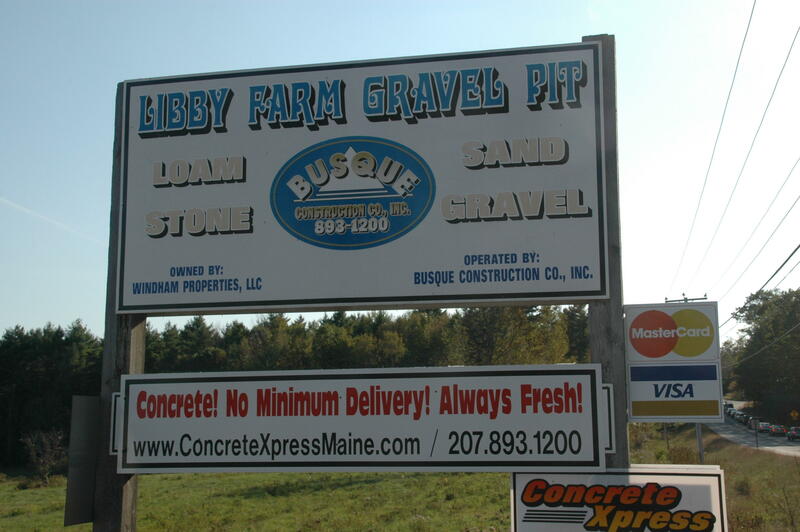 Limit of gravel pit as approved by the Town of Standish is 29.65+/- acres. 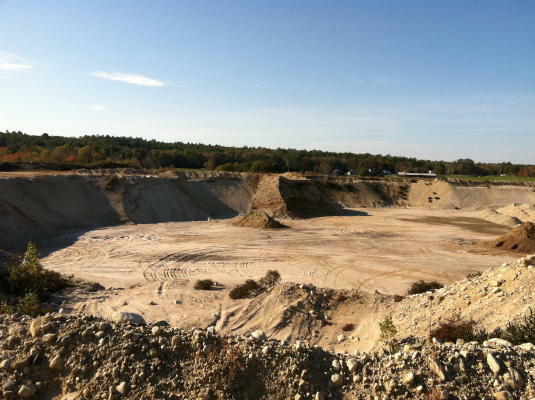 Limits of the gravel pit as approved by the MDEP is 49.57+/- acres. Pit has good erosion, perimeter buffer, and wetland buffer controls. 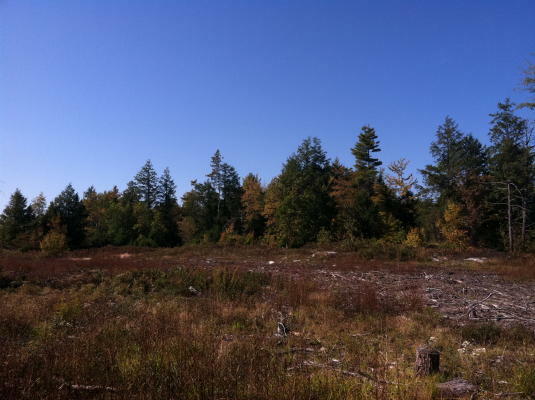 An 1/8 acre pond exists for use in dust control. Reference the Town of Standish Tax Map 20, Lot 58-2. 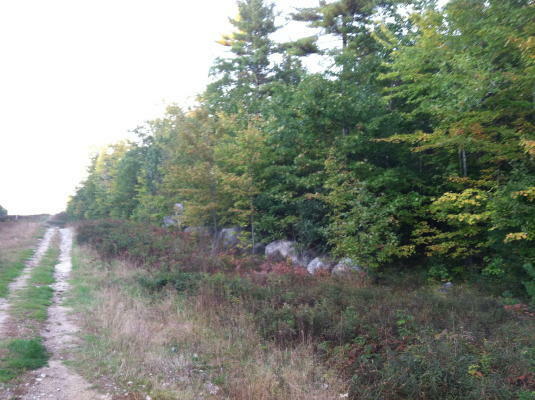 - Wooded parcel is located northeast of the Busque Quarry. Recently harvested. Rolling topography. Farm & Stream Protection Zone. 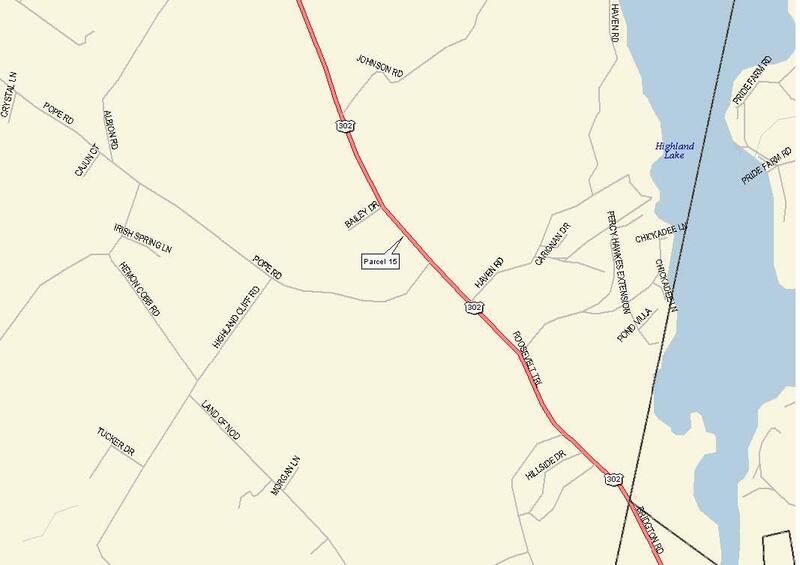 Reference the Town of Windham Tax Map 12, Lot 79C. 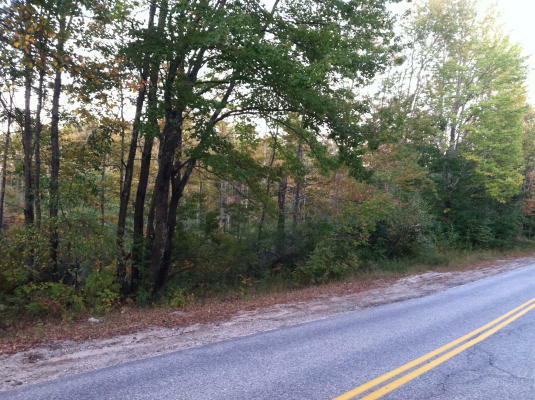 - Wooded parcel with 935+/- ff along Oak Hill Rd. Brook frontage. Rolling topography. Rural Residential Zone. Conceptual subdivision plan in conjunction with parcel 5. Abuts parcel 5 on 3 sides. 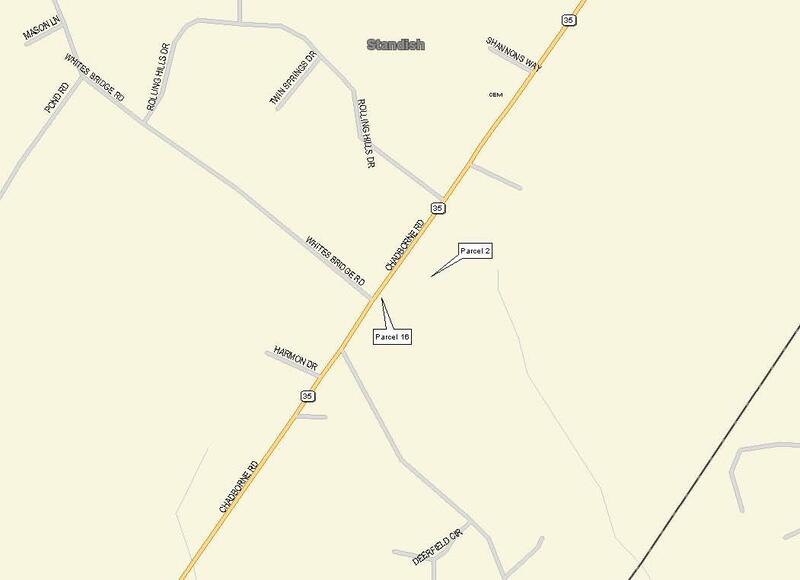 Reference the Town of Standish Tax Map 9, Lot 5. 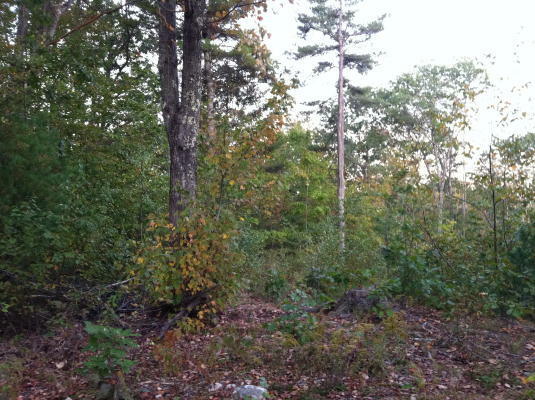 - Wooded parcel with 1,042+/- ff along Oak Hill Rd. Brook frontage. Rolling topography. Rural Residential Zone. Conceptual subdivision plan in conjunction with parcel 4. Abuts parcel 4 on 3 sides. 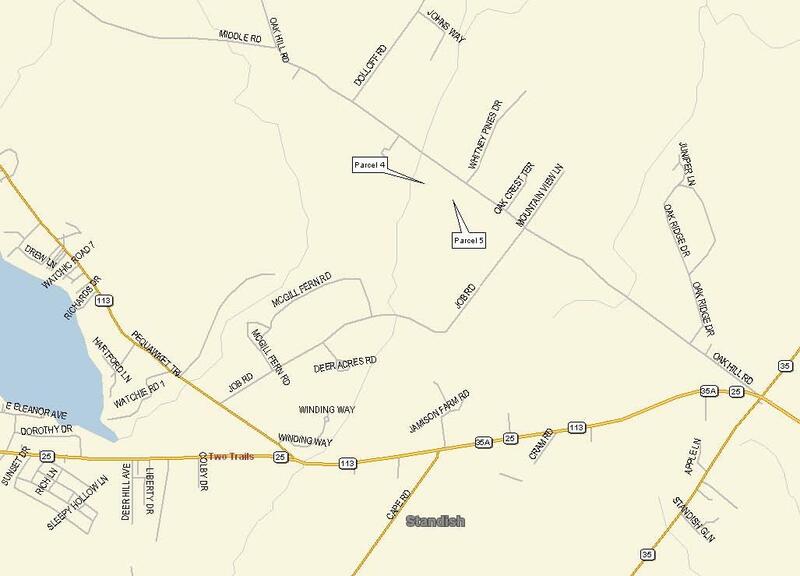 Reference the Town of Standish Tax Map 9, Lot 2. 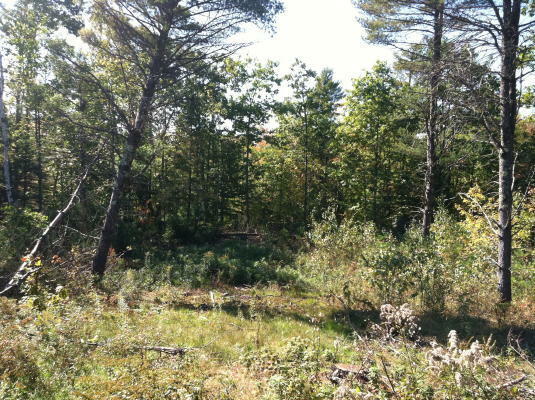 - Private wooded parcel having development potential and located only .2 miles from Sebago Lake, with rolling topography and elevated views of Sebago Lake and the White Mountains. Formerly proposed for 129-unit condominium project with age restrictions. 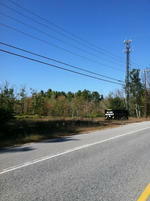 Public water and electricity to 50' wide site road. Village Residential (VR)Zone . 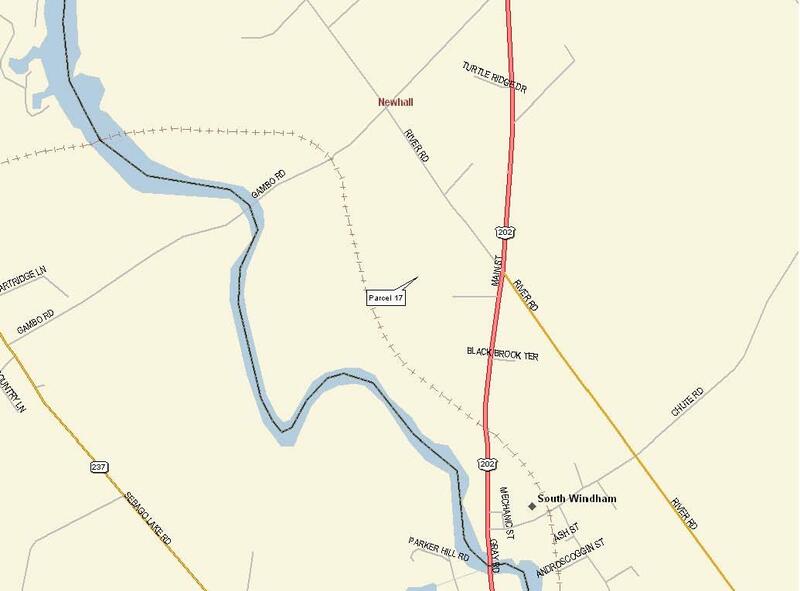 Reference the Town of Raymond Tax Map 5, Lot 1. 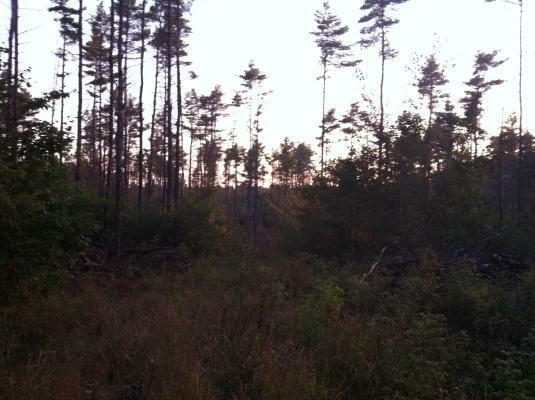 - Wooded parcel with R.O.W. 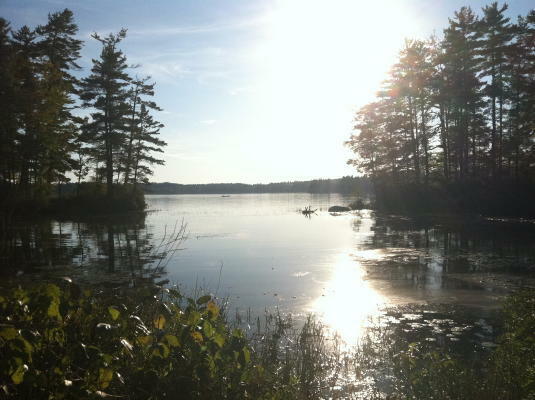 to Thomas Pond. 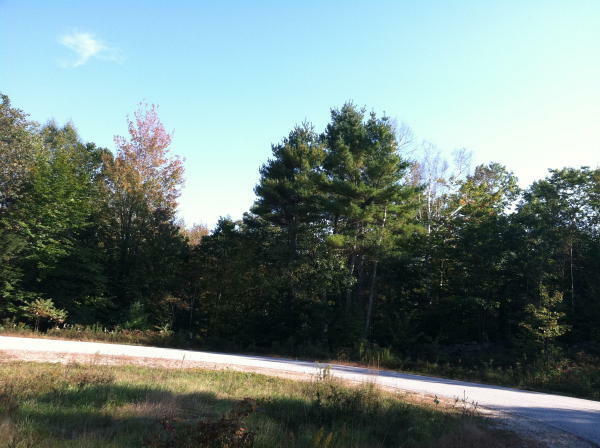 Forest Management Plan, 50 acres taxed as Tree Growth/Back Land and 52 acres taxed as Vacant Land. Resource Protection (RP), Stream Protection (SP), Limited Residential/Recreation II (LRRII), Rural Residential (RR-MH) Zone. Reference the Town of Raymond, Tax Map 6, Lot 30. 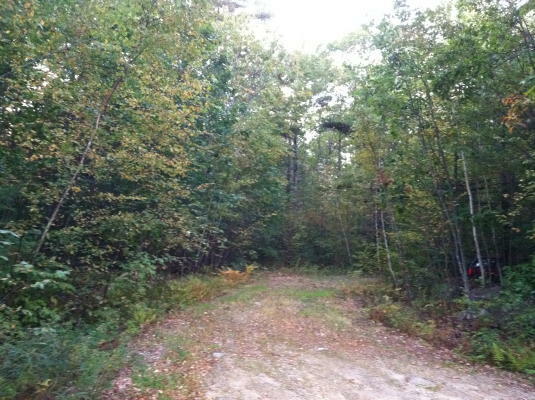 - Wooded parcel with access from deeded road. 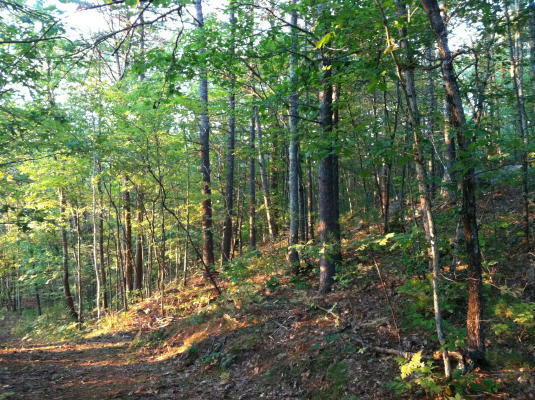 Rolling topography, private location 4.5 miles from Rt. 302. Rural (R) Zone. 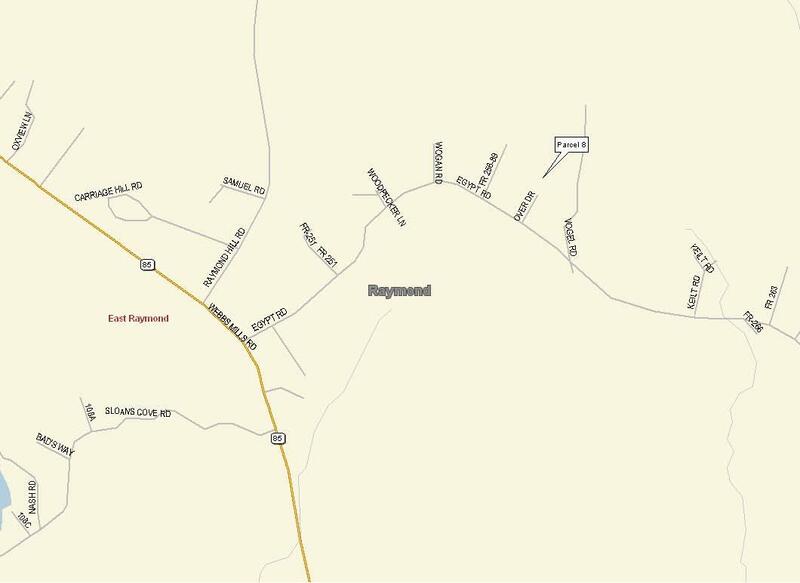 Reference the Town of Raymond Tax Map 14, Lot 1. 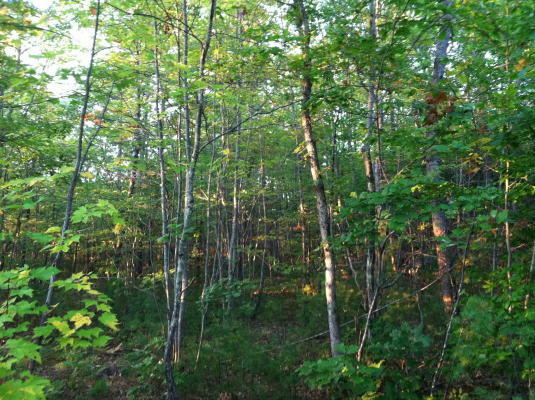 - Woodlands with rolling topography. 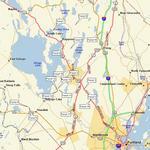 Deeded access. 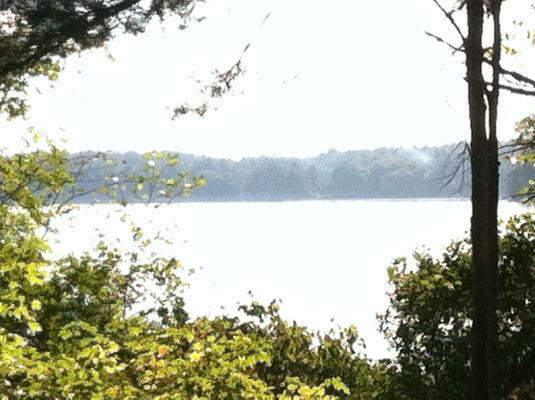 Lake (L) Zone. Reference the Town of Gray Tax Map 39, Lot 1-3 & 1-4. 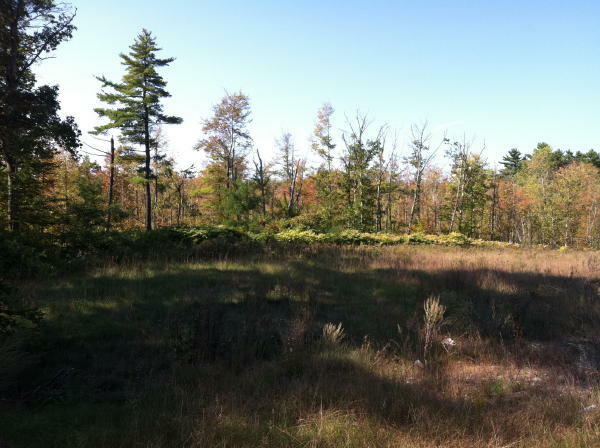 - Parcel is located 3+/- miles from Gray center. 1,990+/- feet along Maine Turnpike. Brook frontage. Rural Residential/Agricultural & Resource Protection (RRA & RP) Zones. Reference the Town of Gray Tax Map 14, Lots 21-29. 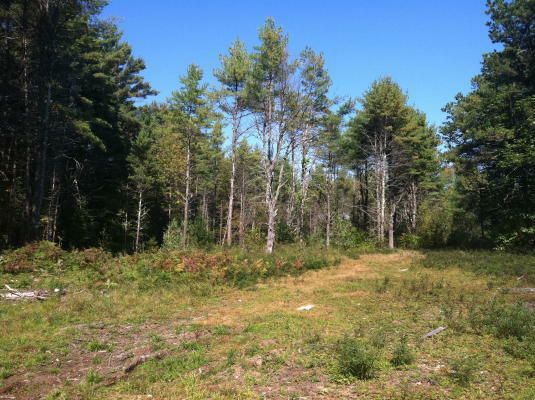 - Wooded parcel located at end of Nason Rd. in nice residential area. 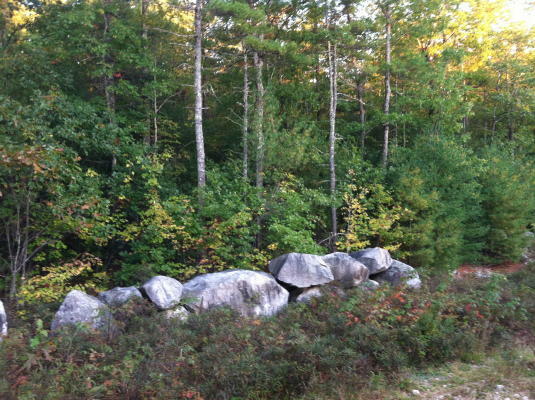 and only 5+/- miles from North Windham. 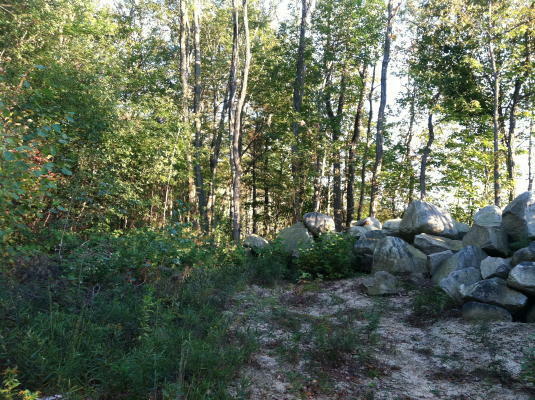 Level topography and private location. Available power and telephone off Nason. 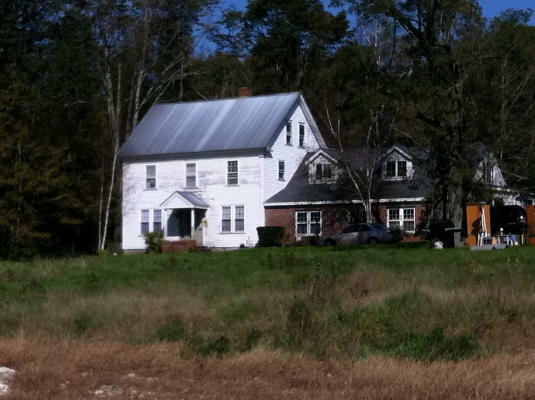 Converted Tower Lease to Easement in place (.23+/- acres). Suburban Residential - Manufactured Housing (SR-MH) Zone. 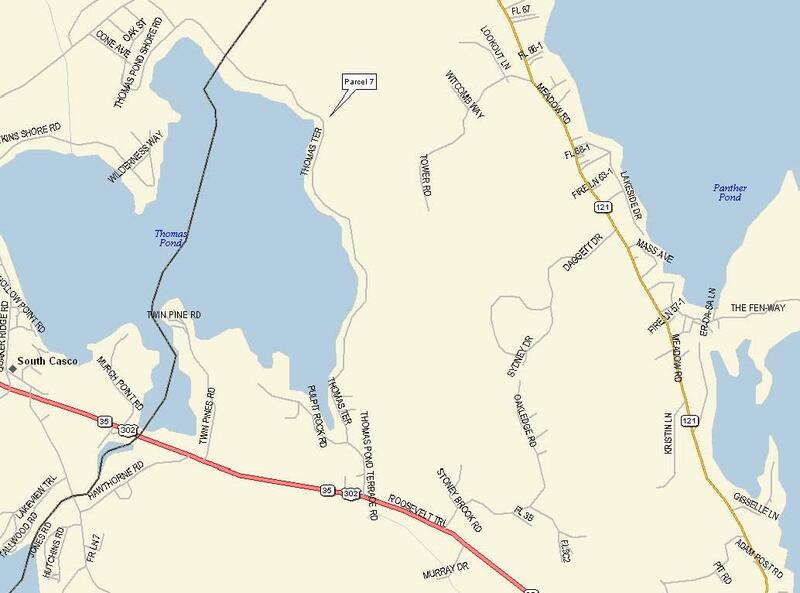 Reference the Town of Gorham Tax Map 96, Lot 1. 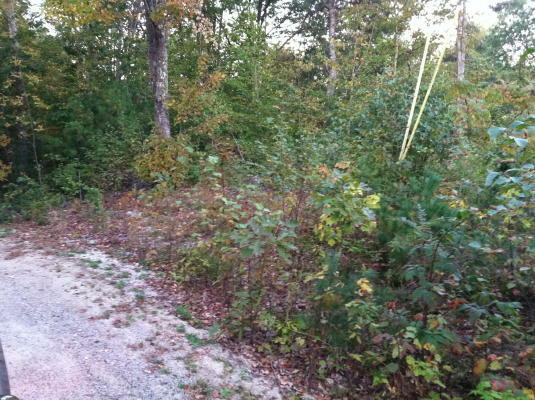 - Wooded parcel located off cul-de-sac at end of Busque Blvd. Adjacent to residential neighborhood. Rural Residential (RR) Zone. Reference the Town of Standish Tax Map 18, Lot 19. 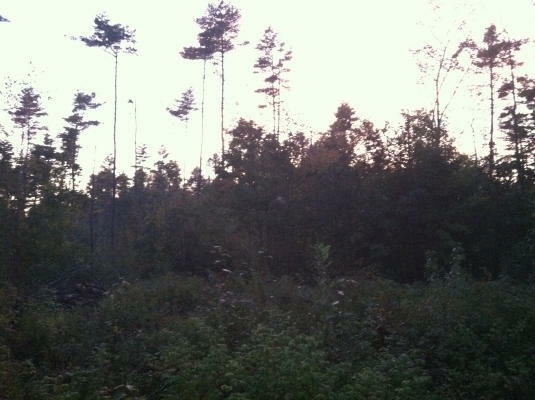 - Wooded parcel, relatively level. Adjacent to residential neighborhood. Rural Residential (RR) Zone. Reference the Town of Standish Tax Map 19, Lot 55. 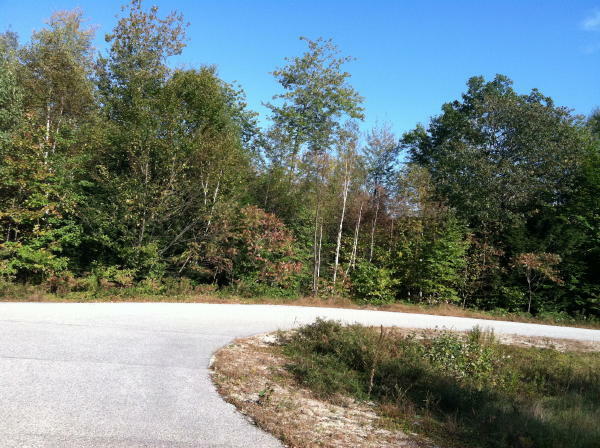 - Wooded parcel located at end of Southridge Dr. Adjacent to residential neighborhood. Rural Residential (RR) Zone. Reference the Town of Standish Tax Map 18, Lot 28. - Level parcel on grade with Rt. 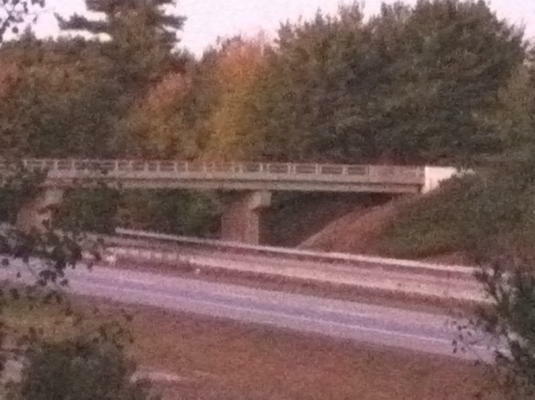 302 and located halfway between Portland and North Windham. 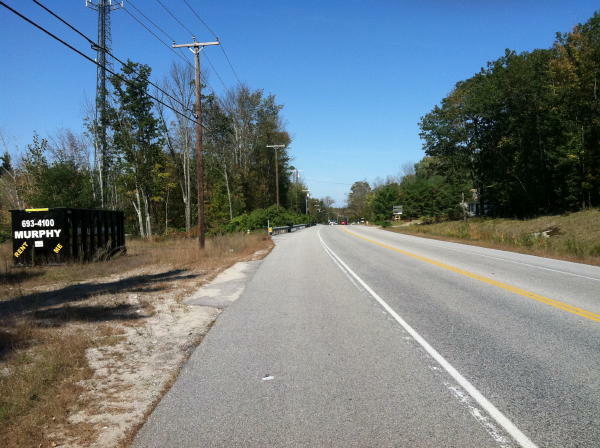 348.49+/- feet of road frontage. Good access and visibility. C-3 Zone. 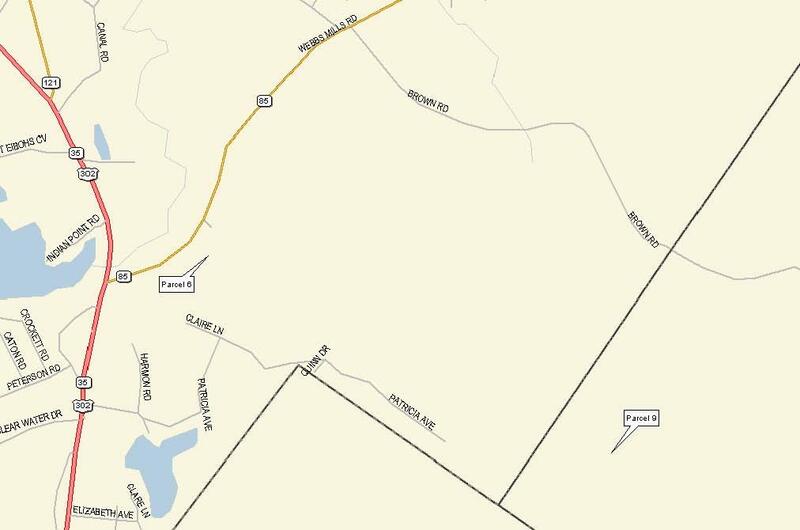 Reference the Town of Windham Tax Map 10, Lot 80-3. 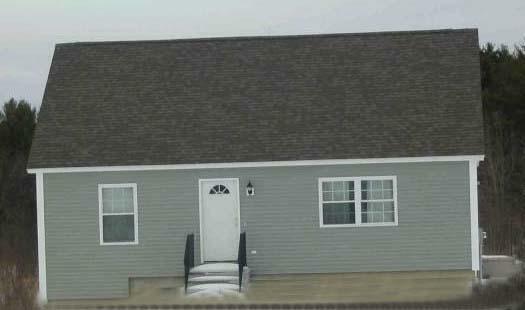 - Cape style home, 1.75 stories, full dormer, 1,566+/-SF., 3-bedrooms/2-Baths, kitchen, living room, den, and FWH oil heat. Rural Residential (RR) Zone. 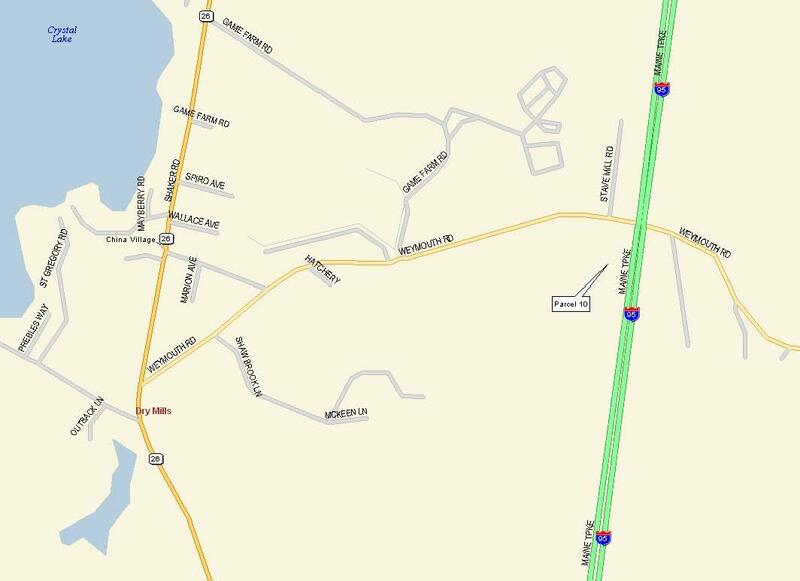 Reference the Town of Standish Tax Map 20, Lot 58-3. 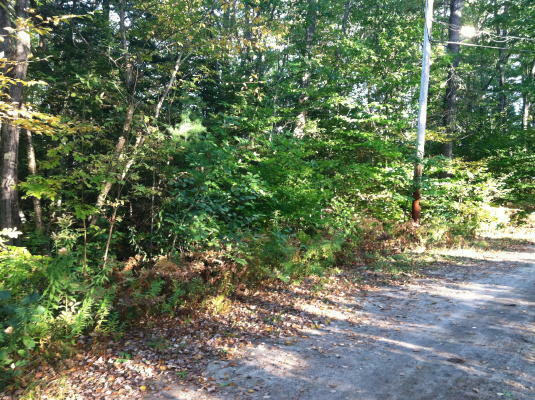 - Wooded parcel formerly approved for (14) lot residential subdivision known as Powder House Subdivision. Next to Mountain Division Trail. 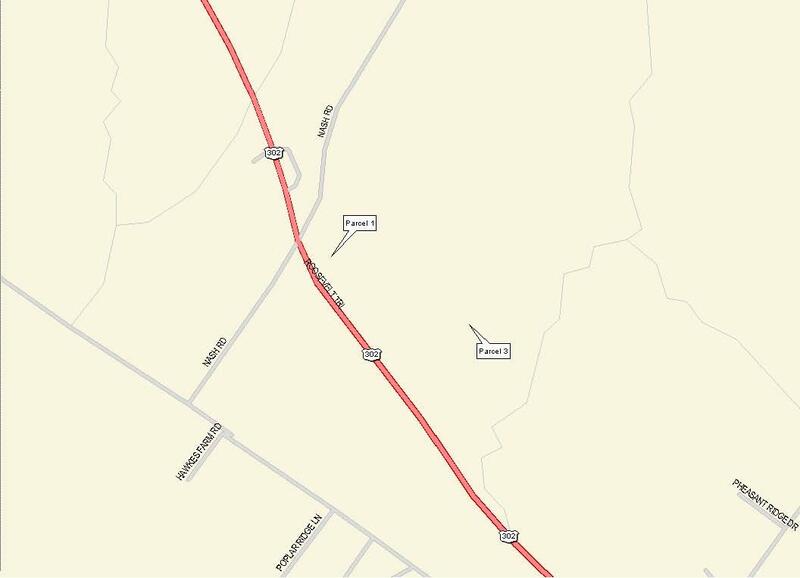 Close proximity to River Road and Rt. 202. 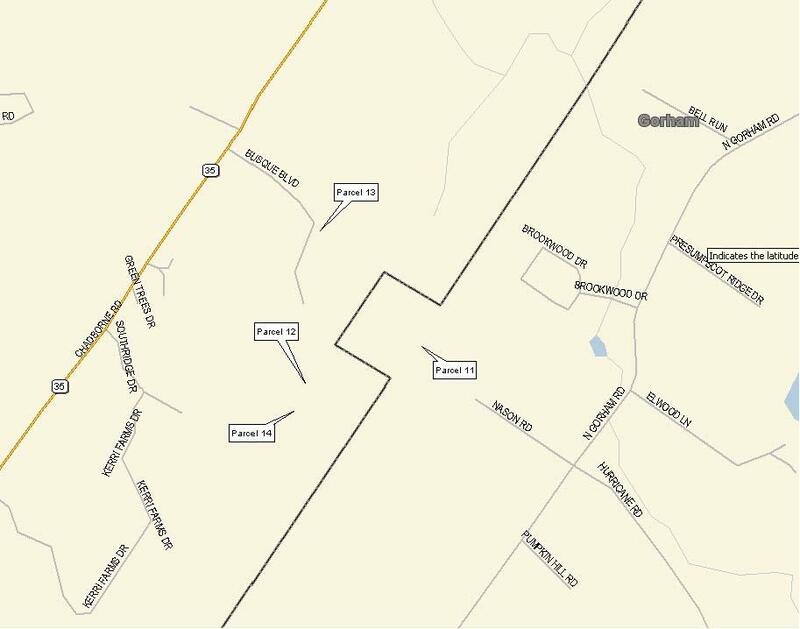 Reference the Town of Windham Tax Map 5, Lot 1A. Wednesday, October 26, 2011 from 8AM-12PM, and 8AM Morning of Sale. Auction representatives will be available at the Busque Quarry during preview times to discuss properties and answer questions. 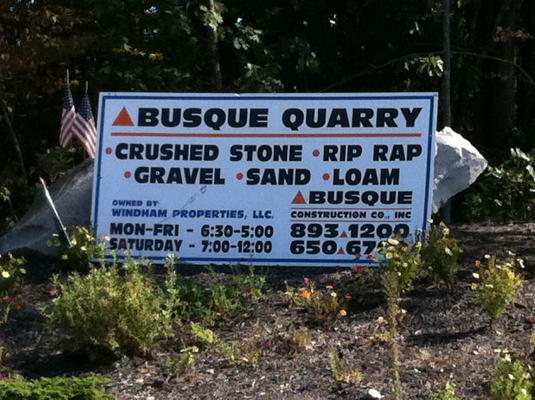 Real Estate Property Information Packages for all real estate parcels will be available at the Busque Quarry in Windham, Maine during the preview. A preview of the Cape style home (Parcel 16) located at the entrance to the Libby Pit will be held from 1-2PM at the home. 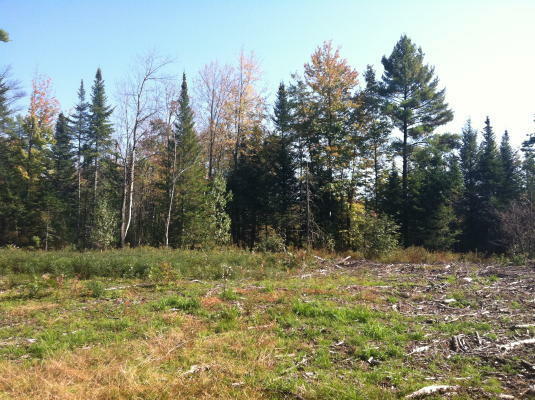 Real Estate - Deposits to bid - Parcels #1 & #2 - $50,000 per parcel and All Remaining Parcels $5,000 per parcel (nonrefundable as to the highest bidders) in CASH or personal/company check, made payable to the Keenan Auction Company (deposited with Auctioneer as a qualification to bid), increased to 10% of purchase price day of sale, with the balance due and payable within 30-days from date of public sale. 5% Buyer’s Premium.Real Estate sales subject to confirmation of Seller. Equipment - Cash, Personal or Company Check, Out-of-State Checks with Bank Letter of Guarantee. 10% Buyer’s Premium. All items sold for immediate removal. All other terms will be announced at the public sale. For a real estate Property Information Package and equipment information, visit KeenanAuction.com or call (207) 885-5100 and request by auction number 11-292. Our 5,858th Auction and 39th Year. Richard J. Keenan #236. DISCLAIMER:The Seller and Keenan Auction Company have provided the information contained on this website page to persons interested in bidding for the real property described above. They believe the information contained herein to be accurate and complete. However, neither the Seller nor Keenan Auction Company, nor their respective agents, employees or attorneys, make any warranties of any kind as to the accuracy or completeness of the information contained herein. Prospective bidders are urged to make such an independent investigation as to each of those matters to which an ordinary and prudent buyer would inquire.